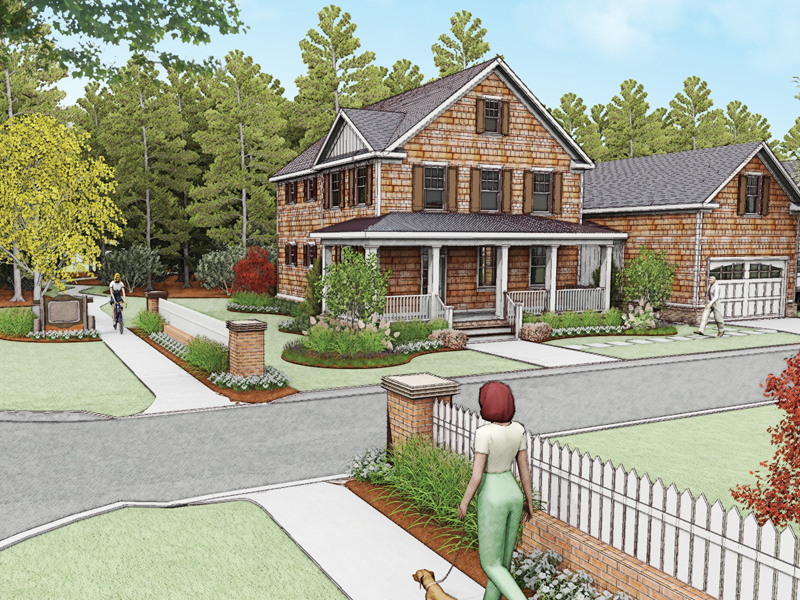 Erik Homes and LPS created this unique residential enclave that takes advantage of its proximity to First Landing State Park. Four unique homes face a muse that acts as both the homes’ front yard and vehicular entry from 73rd street. The two-story homes meet many of the EarthCraft standards; with conditioned crawl spaces, spray foam insulation and Energy Star appliances and are built from reclaimed coated plywood, and reclaimed hardwood floors. 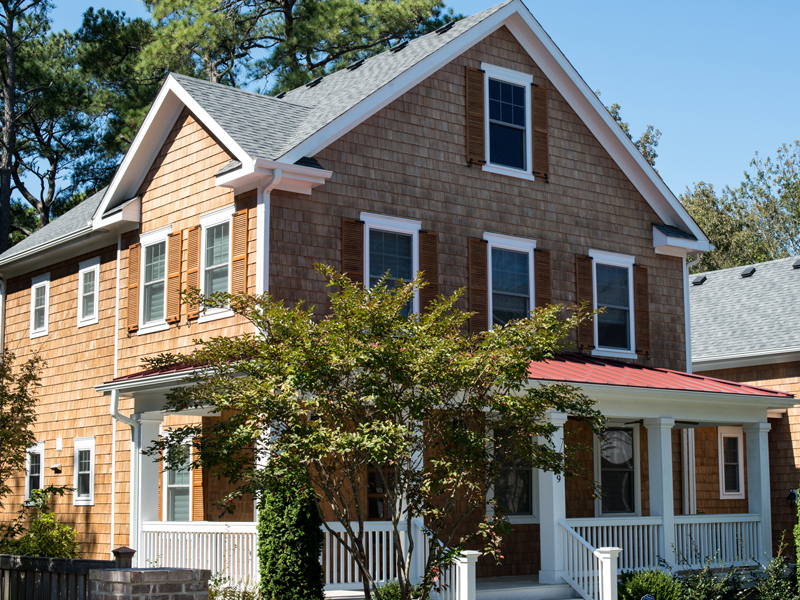 Exterior materials are cedar shake, brick and horizontal siding, emulating original materials used in ‘Old’ Virginia Beach Architecture. 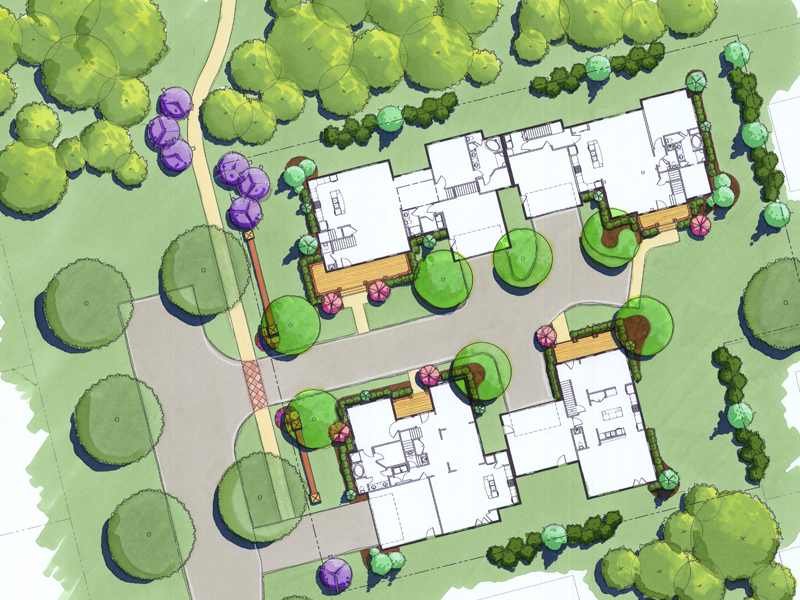 Rather than maximizing every square foot of the R5-R existing duplex zoning with 3-story duplexes, LPS blended new duplex homes attached only at the garage and created the welcoming sharing green for residents to gather and enjoy. What could have been up to 6 dwelling units are now four distinct new homes. Instead of six shared separate driveways, the homes have one shared access point from 73rd street and fits neatly into the surrounding neighborhood. Benefits to the city of Virginia Beach are quite substantial. The entire length of 73rd Street was widened for ladder truck access; the storm-water for the project is contained on-site and the homes have sold for over $800,000, which contributes to the Virginia Beach tax base. For more information on this project or services at Land Planning Solutions, call Melissa Venable at 757.935.9014 or send an email now.